ProductionBase has been an industry force since 1996. We are the UK's leading digital publication and network for freelancers working in TV, film, theatre, radio and commercial production. As members of this exclusive community, users gain access to hundreds of unique job opportunities on a weekly basis, and can showcase their profile & showreel to all the leading production companies and broadcasters. Employers regularly search PB's extensive database of freelancers and/or post positions directly onto our jobs board. Members can also upload upto 4 hours of video, stills and audio to help showcase their talent, and get exclusive invites to our networking events featuring top industry speakers. ProductionBase actively promotes good industry practices such as supporting BECTU's guideline pay rates for freelancers. Why not get in touch - the PB team are always on hand to answer any questions. Joe heads up ProductionBase and generally keeps himself busy within the media world. 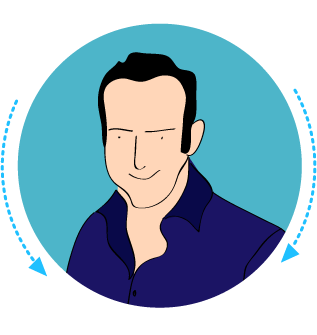 Prior to joining PB, Joe spent a number of years at the BBC and BBC Worldwide, followed by stints at Channel 4 and DMGT. If you’re interested in generating new business opportunities, please get in touch.